This product contains a zip file with a 300 dpi PSD (photoshop) file; A transparent background 300 dpi TIFF file, both of which include the original layers so you may edit them if you wish; an optimized pdf; a higher resolution pdf set at landscape letter size suitable for printing and a 'web-optimized' jpg file that can be used as an image for such things as online tabletop gaming (Roll20 and the like) images. 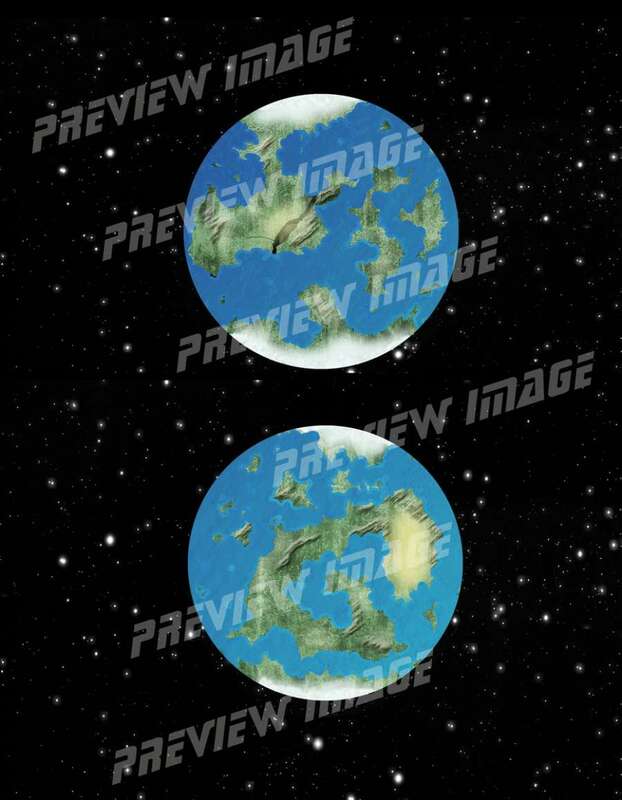 The Earthlike Planet 001 is a generic world map with minimal labeling that you can use as a resource in your commercial or nonprofit projects, however you may not re-sell them as clip art. Any company that uses the Sleeping Griffon Cartography images must list the name of the artist (Anthony C. Hunter) and the Sleeping Griffon Productions company name. This title was added to our catalog on March 27, 2014.